Storms have long attracted sightseers to the canal to watch the waves pound the piers; photographers embrace such days. But the canal, always a potentially dangerous place, is particularly dangerous during a storm. Sivo “Stans” Sanden discovered that firsthand in 1914. The Twenty-four-year-old laborer, a resident of the Torvilla Hotel a few blocks north of the canal, bet a companion one dollar that he could walk the North Pier from end to end. Setting out from beneath the aerial bridge, Sanden darted from one light post to the next, hiding behind the posts as the waves crested and running to the next before another breached the canal. About halfway through his adventure, bridge operators saw Sanden hesitate long enough to throw off his timing. When the next wave hit, it swept him over the pier and into the canal’s roiling waters. He may have hit his head along the way: witnesses said he made no attempt to swim to safety. Police and members of the life-saving station arrived quickly, having been notified by bridge operators using the ferry car’s telephone. None of the would-be rescuers could locate his body. Since the 1929 bridge conversion, the canal’s waters have proven deadly at least twice. 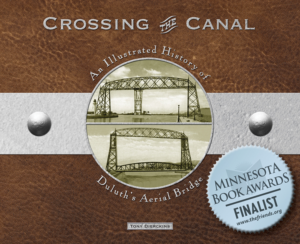 In July 1934, the canal claimed the life of seven-year-old Richard White, who lived nearby at 216 South First Avenue East with his parents, one of Duluth’s few African American families at the time. They initially feared he had run away. Police and neighbors searched for seven hours, and the next day the Coast Guard dragged the lake. A day later four children, two boys and two girls aged four to six, came forward and confessed that one of them had tripped White, who fell from the north pier into the canal. The children did not call for help. While recounting the event, one boy pointed to the other and said, “He did it.” The other replied, “Yes, but you told me to.” No charges were ever filed. White’s body eventually washed ashore and was returned to his parents. (A more detailed account of this incident can be found here in the Legendary Tales index of the Zenith City Press Archive). An incident in 1944 was far less tragic, but nonetheless unfortunate. A black bear found its way to the slips behind Marshall-Wells, jumped in the bay, and swam into the canal. Three Park Point residents—E. 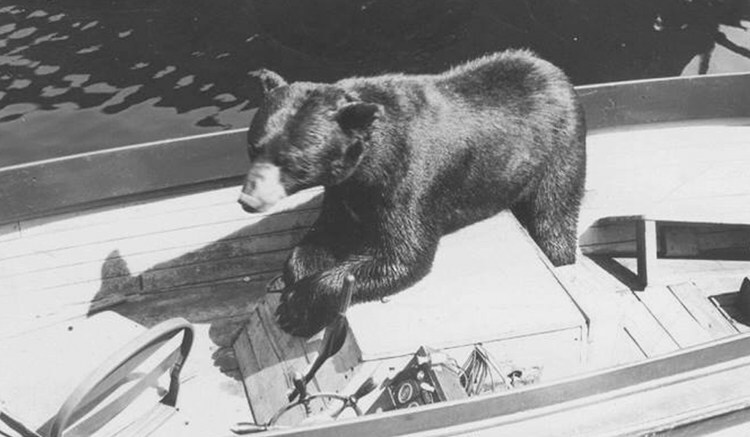 A. Thorleson, age twenty-four; Michael Gauthier, eighteen; and Donald Parker, fourteen—set out in a small boat to rescue the bear and return it to the wild. The bear didn’t appreciate their efforts. Thorleson tried to lasso the bear, but missed; the bear used the rope to claw onto the boat, where it bit its would-be rescuer and tore his pants. Thorleson and his companions abandoned ship. The Coast Guard then towed the boat to the docks, where they successfully lassoed the bear and attempted to pull it onto the pier. But the bruin wouldn’t budge, and officials, deciding it was too dangerous to help, shot it to prevent further trouble. The worst incident to hit the canal did so in 1967. On the last day of April, three of the Halverson brothers from Duluth’s Chester Park neighborhood—seventeen-year-old Eric and his sixteen-year-old twin brothers Arthur and Nathan—had gone to the canal to watch massive waves pound the piers in a spring squall. The boys ventured out to the North Pier Lighthouse for a more dramatic view. Two of them made it to the lighthouse’s relative safety, but a third still clung to a light pole along the pier. A huge wave hit the pier, knocking the boy into the water. His brothers ran to help, but soon met the same fate. Coast Guardsmen Edgar Culbertson, Richard Callahan, and Ronald Prel rushed to the pier. They tied themselves together with rope, spaced twenty-five feet apart: if a wave knocked one of them into the canal, the other two could pull him back. While returning from the lighthouse a particularly big wave lifted Culbertson off the pier and into the lake. The rope didn’t help. He fell with such force he nearly pulled his compatriots in behind him; Callahan’s wrist snapped from the force. Culbertson drowned. United Methodist, where the boys attended church, added a small paneled room and named it the Three Brothers Chapel. Culbertson, Callahan, and Prel all received the Coast Guard medal, the organization’s highest peacetime award for heroism. Culbertson’s parents accepted the medal. A plaque commemorating his bravery sits on the north pier.